Ratepayers in the RM of Rocanville will be going to the polls on April 5 to vote in a plebiscite on a bylaw that will determine if a wind farm can be built in the RM of Rocanville. The current bylaw limits the height of wind turbines to 100 meters. A proposed bylaw amendment would change the height limit to 200 meters. 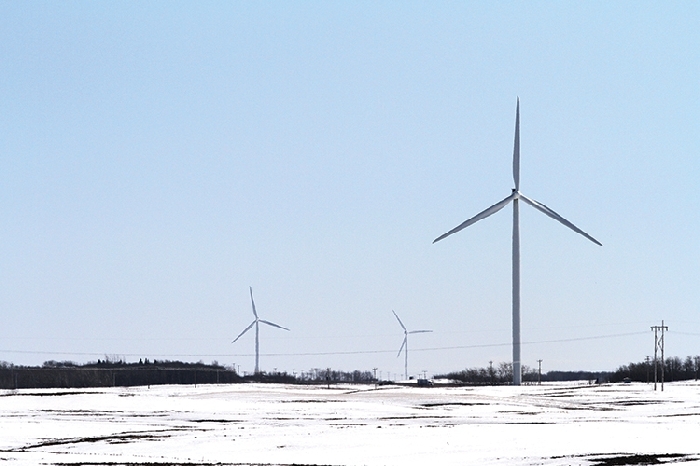 Nextera Energy, a wind farm developer in discussion with some landowners in the RM of Rocanville for development of a major wind farm, has said the limit of 100 meters would prevent the project from moving forward, because newer windmills are much taller. The company suggested the limit of 200 meters. Council advertised the bylaw change and voted on the change March 9, but council was divided. “We’re kind of at an impasse,” Reeve Murray Reid said Friday. He said councillors have been divided on the issue. “We’ve discussed it and people haven’t changed their minds so I finally called a vote, because NextEra is waiting for us. While the results of the plebiscite aren’t legally binding on the RM council, the reeve says he expects that council will follow the decision made by ratepayers. “I would assume that if the ratepayers approve this the councillors would be morally obligated to go will the feelings,” he said. “The question would be very clear—whether people think we should change the bylaw to allow wind turbines up to 200 meters. Reid said that, while there are strong feelings on both sides of the wind farm issue, there hasn’t been a lot of acrimony. He said he is personally in favor of the proposed wind farm.